Oh yes, it's that time again. Time to go and freeze your a** off for weeks on a monster mountain for... well, it doesn't matter what for. Go big or go home, we say. And if you're going big on Denali, this little gem of a book is required reading. As the author states, "...climbing Everest is good preparation for climbing Denali." It's a serious rock, and this book does it justice in the smallest possible format. So if you absolutely, positively have to freeze your johnson off at altitude, give this guidebook a try. 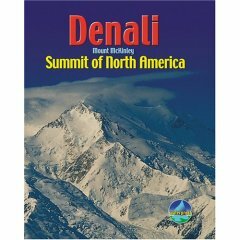 Climb Denali in May or June. By July, the glacier approach is too melted out, the National Park Service has closed out its support of the West Buttress camp at 14,000 feet, and the Air Taxi services have shut down their 24x7 support of the Base Camp airstrip, which means you'll be alone on the mountain if you're not on it in May or June. That's not actually that desirable. April is too early/way, way, way too cold.